Call Sean on 087 711 2221 or drop us a line today for a quick quote! This February we are offering 15% off all fares on journey's over 20 km. 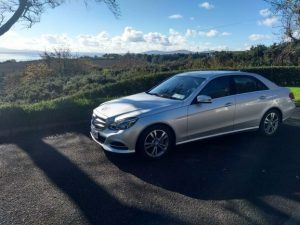 We want you to try our premium Mercedes-Benz E-Class Taxi service which offers the comfort and luxury of an executive car at the price of a regular taxi. I promise you a punctual, polite, professional, service and guarantee discretion, attention to detail and a pristine, immaculate vehicle. 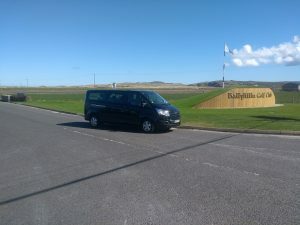 So whether you are looking to hit the town in style, want regular and reliable travel for airport or station transfers, weddings, events, or whatever your personal or business travel requirements are, have the ultimate piece of mind that you will receive a service of the highest quality and standard. A small surcharge may apply for pick-up/drop-off in other areas of Inishowen or Letterkenny. All jobs considered including document/small parcel delivery. Pre-booking advisable. 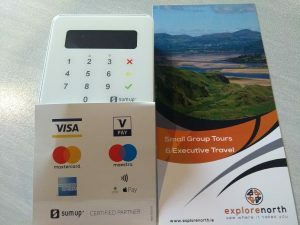 Card payment accepted in-vehicle at no extra charge.